GearGuyd > Cool > Nerf Clear Bodied Dart Blasters Are Back! 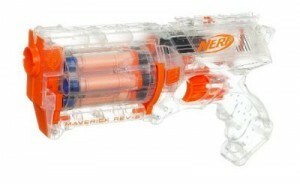 Nerf’s limited time special edition clear-plastic dart blasters are back! Usually these clear versions are only released for a short time and can be difficult to find. This time, it looks like the clear blasters are available pretty much everywhere at or near their normal prices.